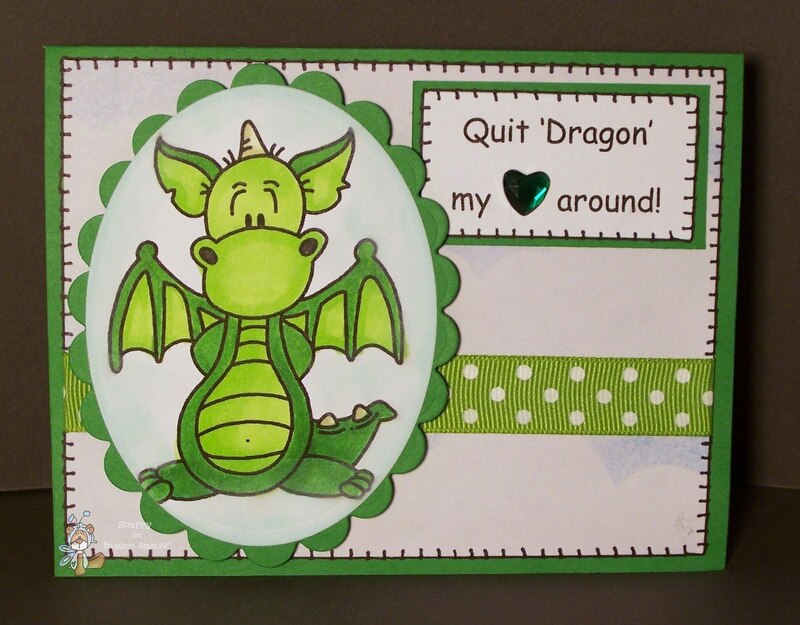 This week my card has a cute dragon named 'Clyde'. I LOVE this little dragon! Wait'll you see the rest of the line in the BUG SHOP! They are gonna rock your world! **Due to pervasive computer issues, this weeks freebie is delayed. 'Clyde' will be available as soon as we are able to get them posted to the Bugaboo Stamps Site. Thank You so much for your patience and understanding. Oh your sentiments always make me giggle Scrappy ! What a fab card ! What a funny dragon! Love all the variations of green in this card! Cute dragon and great sentiment! Thanks for playing along with us at Papertake Weekly this week. Hey Scrappy, I'm starting to think I could just set up a cot here! you'e got three cards in Paper Pretties this week, thanks for keeping me busy. Can't wait to see what you do next week. Thank you for joining us at The Crafty Pad! Very clever Scrappy! I love it! Thanks for playing along with our “Hearts a Flutter” Challenge this week at Penny’s. Good Luck!